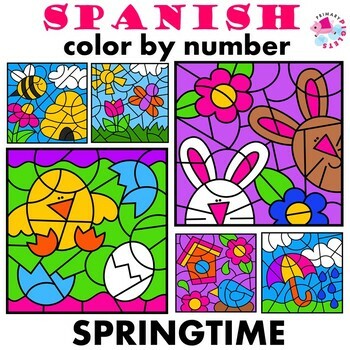 Spring Color by Number Set in Spanish is a set of 8 SPRING worksheets filled with numbers. The pages are in Spanish. 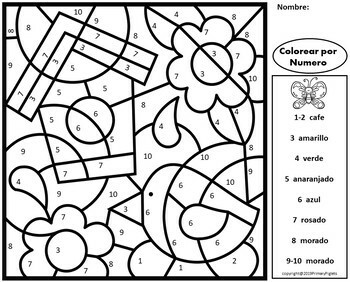 Follow the key and color the coloring page. You also get the color coded answer keys. 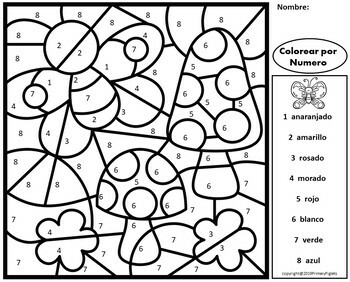 Color by Code pages are highly engaging, give your students some fun while providing a calmness of coloring in a mosaic picture. 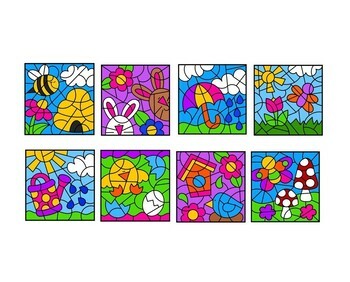 Visit my store, Primary Piglets, for more fun learning products! Thanks!